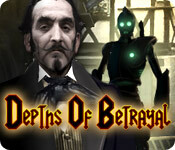 Depths of Betrayal is rated 3.8 out of 5 by 58. 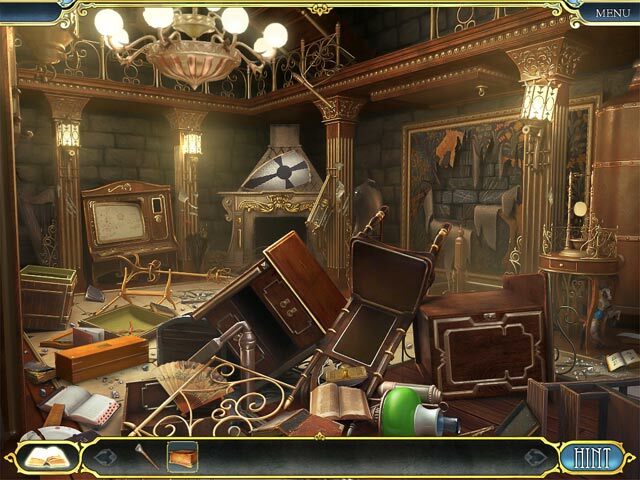 Rated 5 out of 5 by whiting71DK from Wonderful game ! ( SE) Don’t miss this one, if you like mecanics, great art work and music. A tale about artificial life / robot which by mistake has a mind of it’s own. 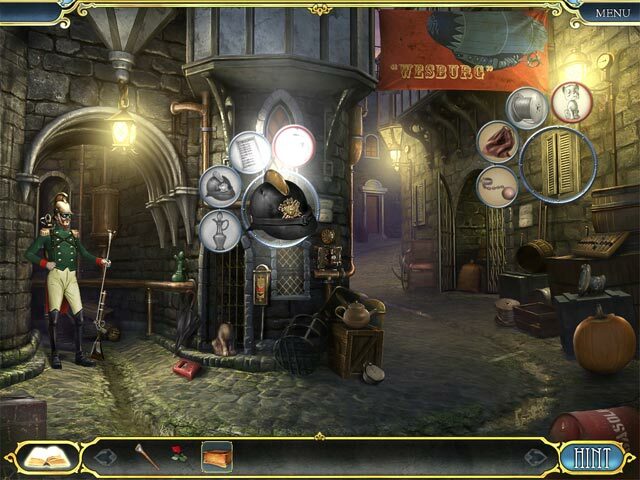 A game with a pattern of HOS’ popping up in form of “fans” with items to find to get the one you need, of access punch cards to be found for next scene. And to disable the robot and put all right in the end, you have cinematics, logbook, hint, conversations, minigames and puzzles, all with a twist of humor. Brillant ! Rated 5 out of 5 by Delolo7 from MORE LIKE THIS PLEASE!!! LOVE this type of HOG/Adventure! Awesome change from the regular Junk Piles! Keep em coming PLEASE! Rated 5 out of 5 by denniann2 from a really fun game i really, really liked this game. it wasn't as much HO as finding various objects to get the one that you need. haven't done one of those in a while so it was a nice change. played casual, no sound. hint/skip charge fast. journal. hints tell you where to go. you are responding to a letter received and it is to help your uncle???. anyway, there is a man wanting to build robots with artificial intelligence. sequel, hard to say. Rated 5 out of 5 by centauri272 from A good change from the typical HOG This is not the typical HOG with junk piles. You have to find objects in the scenes and combine them to get another object. There are 2 game modes. The sound is really good. There are not many dialogs or cut-scenes. The graphics are clear. The objects are easy to find. Among others, you have to find punch cards to access other locations. The puzzles are quite easy. There is a journal, summary of the story, and a task list. There is no map and a lot of to and fro, but with the help of the hint system, you can easily find your way. The game is not too short. Without skipping, it took me a bit more than 2 1/2 hours. All in all, a good break from the typical HOG! 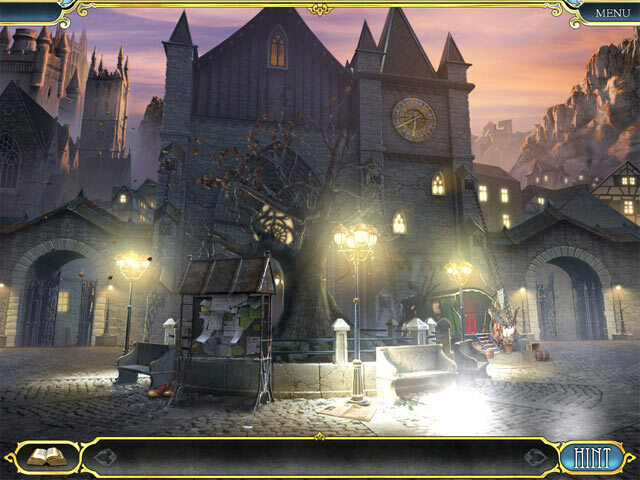 Rated 5 out of 5 by linduskal from great game! I love this game!Please more like this one where you have to find things in circles. Rated 5 out of 5 by paglens from Great Game, Enjoyed It Very Good, Very Enjoyable. Challenging. I enjoyed this game. Different to others I have played. Rated 5 out of 5 by MAG57 from Depths of Betrayal I just finished the game. I had trouble right in the first chapter, luckily I found other sources to figure out what I needed to do. Then the game moved on. This is a visually stunning game. The hint button helped guide me through the game. There is a skip button for ther puzzles I could not do. Exellent storyline, something different. I enjoyed this game. Rated 5 out of 5 by metuttle from Great game, outstanding story line and plot This is one of the best games I have ever played, great story line and the plot twists and turns with excellent cut scenes and intrigue. A good variety of puzzles w/ very good HOS; also very good voice overs and acting. Rated 5 out of 5 by grandmagammer from Great Game I am about half way through. Although the game is fairly short, it is really fun to play. It has some differences that make it fresh and entertaining. Not too hard. Just about perfect for me. Quality is far more important to me than quantity. Give it a try, bet you'll be hooked.